Problem solving is the essence of what leaders are supposed to do. Sen. Jim Honeyford's April 8 guest editorial, however, misses that mark. Restoring Snake River salmon and steelhead will require innovation, communication and open-mindedness. Instead, we just get more of the "same old, same old." Sen. Honeyford is also missing something more important in his guest opinion: data and facts. Sen. Honeyford claims, "The dam system's reservoirs support irrigation for farmers and help reduce the risk of catastrophic floods." The four dams on the Snake River are "run of the river" -- they do not store water for irrigation and do not provide flood control. Irrigation water for the roughly two dozen farms is drawn from the waters behind Ice Harbor dam. These irrigation withdrawals will remain in effect and available for farming operations if the dams are removed. 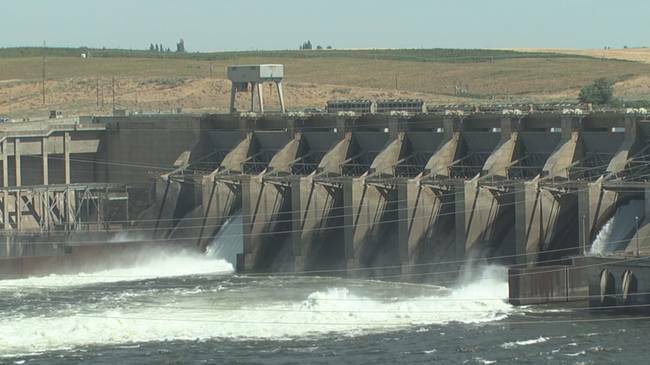 Barge traffic on the Snake River has declined significantly -- 70 percent -- since 2000. Getting wheat and other crops to market affordably and reliably without the dams can and must continue -- but by rail rather than boat. Salmon and fishing advocates are committed to working with policymakers and local communities to ensure that farmers, local businesses and communities are kept whole and the dams' modest service is replaced with efficient, salmon-friendly alternatives. I was disappointed that Sen. Honeyford made no mention of our nation's treaty responsibilities with Northwest first peoples regarding traditional fishing rights in their usual and accustomed places as part of the 1855 treaty. We have a legal and moral responsibility to fulfill the terms of that treaty by restoring salmon and steelhead runs in the Snake River basin. Several Snake River salmon and steelhead runs are listed under the Endangered Species Act. These runs, after decades of recovery efforts, are still not recovering. In fact, wild salmon and steelhead runs are currently at 5 percent of predevelopment levels. The following quote comes from the Washington Department of Fisheries Annual Report, 1949, and speaks to the then-decline of salmon and steelhead in the Snake River. "This policy of water development, the department maintains, is not in the best interest of the overall economy of the state. Salmon must be protected from the type of unilateral thinking that would harm one industry to benefit another... . Loss of Snake River fish production would be so serious that the department has consistently opposed the four-phase lower dam program that would begin with Ice Harbor dam near Pasco." The costly and ineffective approach Sen. Honeyford celebrates is working for no one -- farmers, river and coastal communities, salmon or orca. Removing the lower Snake River dams and replacing their modest services with alternatives is a job-creating opportunity for our economy, culture and ecology in the Inland Northwest. Let's work together to seize it. Margie Van Cleve lives in Selah.